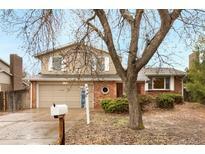 Below you can view all the homes for sale in the Village East subdivision located in Aurora Colorado. Listings in Village East are updated daily from data we receive from the Denver multiple listing service. To learn more about any of these homes or to receive custom notifications when a new property is listed for sale in Village East, give us a call at 720-580-6694. This great house is conveniently located on a cul-de-sac near I-225, Aurora Medical Center and the Aurora-Jewell Wetland Preservation with trails and open space. MLS#7676661. Madison & Company Properties. Centrally located w/easy access to DIA, DTC, & Anschutz Med Ctr. Just blocks from shopping & restaurants! MLS#7514888. RE/MAX Professionals. The home won;t last it's like a new home! MLS#9121515. HomeSmart Cherry Creek. Centrally located w/easy access to DIA, DTC, & Anschutz Med Ctr. Just blocks from shopping & restaurants! MLS#3364358. RE/MAX Professionals. Ask your agent for all additional details on recent upgrades to the home.. because there are a LOT! ! MLS#8221797. Atlas Real Estate Group. Don’t miss this home loaded with great features & room to spread out. MLS#1505368. eXp Realty, LLC. This home has been tremendously cared for. Welcome home! MLS#9291054. Keller Williams DTC. Includes a fenced in yard and patio. MLS#4585969. Kentwood Real Estate Cherry Creek. Turn this house into your dream Home! MLS#4893556. Buy-Out Company Realty, LLC. Roof is new, Furnace only a couple of years old...This home is ready for someone new!!! Quick Move in, quick possession. MLS#7676346. RE/MAX Edge. Rear yard has storage shed and some raised beds for gardening, or for the kids to play. MLS#4138342. T E K ENTERPRISES. Easy Access to I225, Light Rail, Denver International Airport, Fitzsimons, City of Aurora and Colorado University Medical Campuses. MLS#9932851. COLDWELL BANKER RESIDENTIAL 54. Centrally located w/easy access to DIA, DTC, & Anschutz Med Ctr. Just blocks from shopping & restaurants! MLS#6083815. RE/MAX Professionals. Centrally located w/easy access to DIA, DTC, & Anschutz Med Ctr. Just blocks from shopping & restaurants! MLS#7466034. RE/MAX Professionals. Centrally located w/easy access to DIA, DTC, & Anschutz Med Ctr. Just blocks from shopping! MLS#5340176. RE/MAX Professionals. Centrally located w/easy access to DIA, DTC, & Anschutz Med Ctr. Just blocks from shopping & restaurants! MLS#3301919. RE/MAX Professionals. Centrally located w/easy access to DIA, DTC, & Anschutz Med Ctr. Just blocks from shopping! MLS#3853715. RE/MAX Professionals. Centrally located w/easy access to DIA, DTC, & Anschutz Med Ctr. Just blocks from shopping & restaurants! MLS#7319464. RE/MAX Professionals.